Durable: Outgeek inflatable drink holder made of high quality and durable PVC plastic, which does not tear easily and can last for a long time. Conveniently float your drinks in style. Portable: Lightweight and inflatable design of flamingo cup holder are portable for traveling and easy to jump, great for keeping your drink handy in the pools, hot tubs, lakes, oceans and more. Convenient: Pink flamingo inflatable can be fully inflated within 10 seconds, effortless and quick. Cute palm tree and flamingo shape will be loved by both adults and kids. Floating drink holder can also be used as a children’s toy. comfort or fun. The inflatable drinks holder quality design reassures value for money. enjoy fun floating experiences with family or friends. Perfect for your pool party, conveniently float your drinks in style. Get these eye-catching coasters on your vacation, great for decorations. Application: Inflatable flamingo cup is a perfect beach party accessories for beach parties, children bathing home use ,Hawaiian Luau, corporate parties, weddings, birthday party and more. 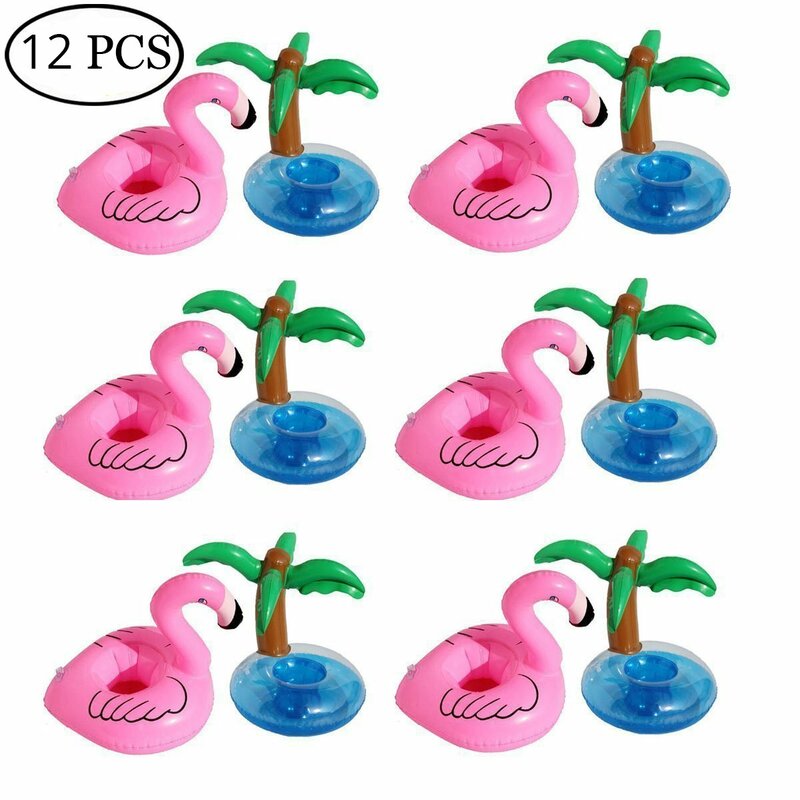 Format: Palm: 21*21*22.5cm(8.27*8.27*8.86in) Flamingo: 18*16*16.5cm(7.09*6.30*6.50in) flamingo Inflatable Pool Cup Holders works with almost any size beverage, so you will always have your drink by your side.